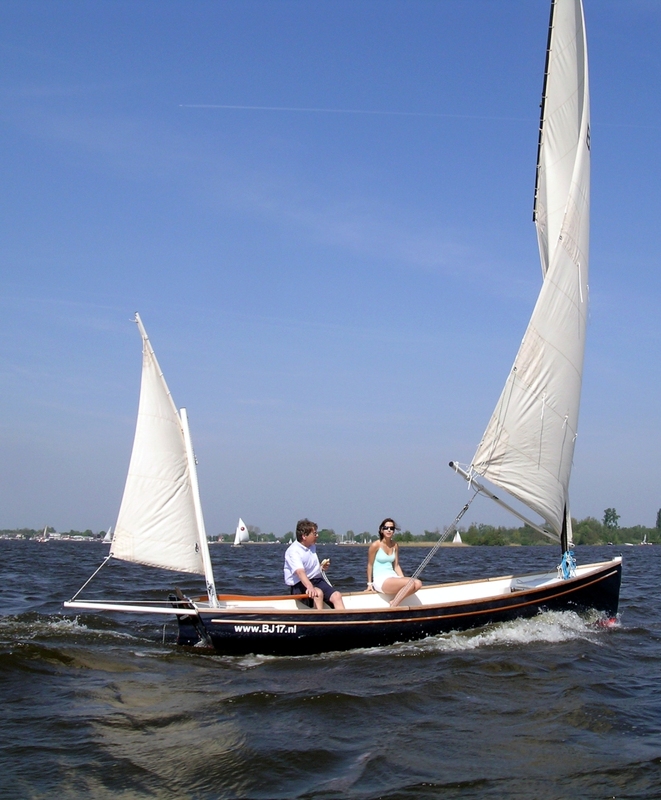 Bart Jan Bats has written to say the company will be at the Beale Park Boat Show (10-12 June) to show its distinctive Nigel Irens daysailer, the trailable BJ17 , which has a polyester hull with modern lines, a balanced lug rig (a single-masted gaff rig is also available) and a large self-draining cockpit. makes single-handed sailing easy, while the rest of the cockpit is free of lines, allowing four people to be seated in comfort. Some buyers may prefer the more familiar gaff-rigged version, however. Bart Jan Bats will also be showing a Thames launch currently available for sale. It is built in cedar strip covered with 7mm mahogany, and finished with epoxy and a two-component polyurethane varnish. The deck is maple with mahogany, while the floor is teak with koto lines. The motor is a Volvo Penta 10hp. Phil Latham on sailing the Cambria from Richard Fleury on Vimeo. Richard is the chap who runs the The Quay website, which campaigns for the maritime future of Faversham Creek. On the day of the Cambria’s relaunch earlier this week he was lucky enough to be able to meet Phil Latham, who was Bob’s mate aboard the sailing barge from 1964-68, and and to film an interview. I think it’s of great interest to anyone fascinated by sailing barges and Bob Roberts, but also to sailors who know or plan to visit the East Coast.